Announcing the latest in our continuing series of women’s retreats at Urantia Foundation, the Daughters of God facilitator team (Katharina Becker, Doreen Heyne, Carolyn Prentice, and Line St-Pierre) invites you to an intimate, experiential, and fun weekend. 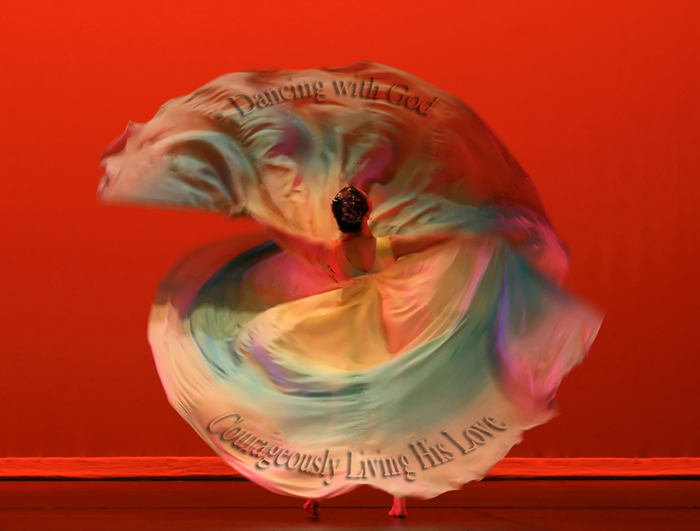 During our next retreat, “Dancing with God—Courageously Living His Love,” we will cocreate a milieu of trust within a spiritual circle. Together we will explore and share our discovery and experience of courageously living God’s love. We will examine how missteps, obstacles, and adversity challenge us, while small successes, inner guidance, and our fellow sojourners encourage us. Together we will discover how, while the map of our life unfolds, a spiritual driving force leads us from one beautiful discovery to another, here and hereafter. The cost for the three days is $250.00 and includes all meals and shared overnight accommodations on a first-come basis. The retreat begins with dinner on Thursday evening and ends after lunch on Sunday. If you would like to be a part of this event at Urantia Foundation headquarters, 533 W. Diversey Parkway in Chicago, contact Joanne Strobel at joanne@urantia.org. The Daughters of God Mission: To enhance the status of being a woman dedicated to spiritual growth, intellectual advancement, and moral progress. The Daughters of God Vision: To touch women’s hearts by exploring the dignity of being daughters of God by honoring their value and importance, and by cooperating with the divine spirit to bring forth the beautiful harvest of the fruits of the spirit.